Columbus, Ohio (October 22, 2015) – Over 600 central Ohio military veterans in need received a hand up on Tuesday at the 18th annual Central Ohio Stand Down, a yearly event sponsored by the United States Department of Veterans Affairs with help from organizations like VFW of Ohio Charities and the Ohio Veterans and Fraternal Charitable Coalition (OVFCC). The event was held at the Greater Columbus Convention Center. 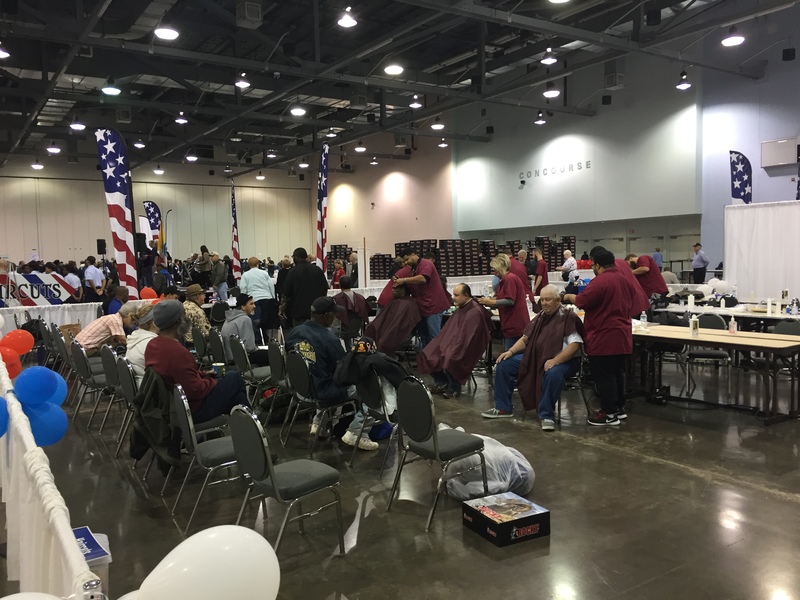 Homeless veterans receive medical treatment, help with local agencies, legal assistance, clothing, personal grooming, and a hot meal at the 2015 Stand Down. 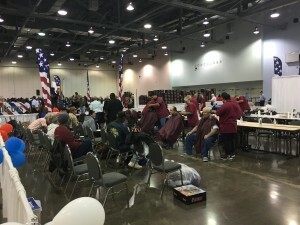 Services provided at the event include medical treatment, help with local agencies, legal assistance, clothing, personal grooming, and a hot meal. CLICK HERE To see the WCMH TV news story on the event. VFW of Ohio Charities and the OVFCC participated in a substantial way by volunteering and distributing clothing items. They also help each year at other stand down events throughout Ohio, including Akron, Chillicothe and Dayton. Funding to provide these critical items comes from the OVFCC charitable video raffle program, which has raised over $16 million for veterans & fraternal groups and their charities at no expense to taxpayers. The video raffle program is currently operating under a temporary restraining order pending a court trial, which is set for 2016. Veterans and fraternal groups are hopeful they will win their court case and continue to be able to raise vital funds to support their posts and charities.